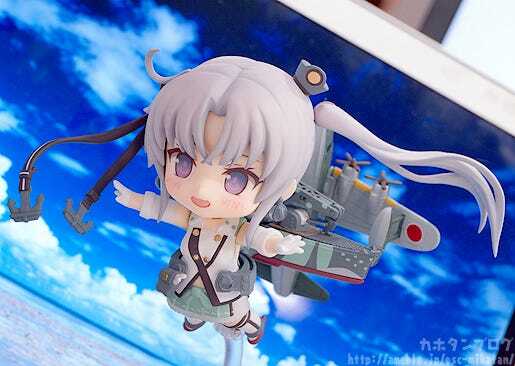 From the popular browser game ‘Kantai Collection -KanColle-‘ comes a Nendoroid of the seaplane carrier Akitsushima! 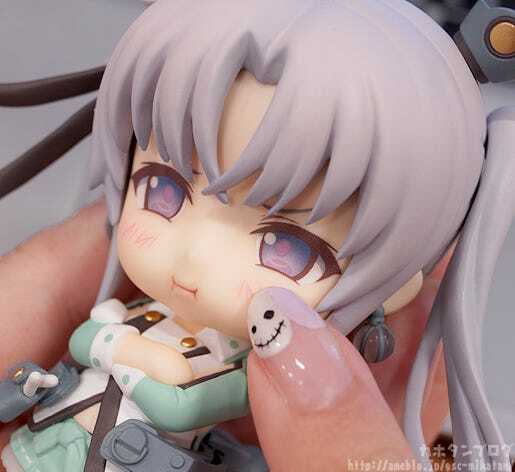 She comes with three expressions including her standard expression, a half-damaged expression as well as a more comical upset expression with puffed out cheeks. 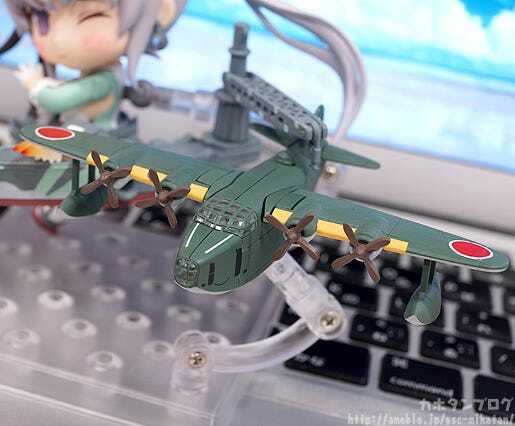 The ship parts on her hips are fitted with various moving parts allowing the hip attachment part to slide along the edges as well as move the crane around – the crane can even be displayed stowed away when not in use!Her trademark seaplane ‘Taitei-chan’ is also included in a fairly impressive size as well as movable wings. 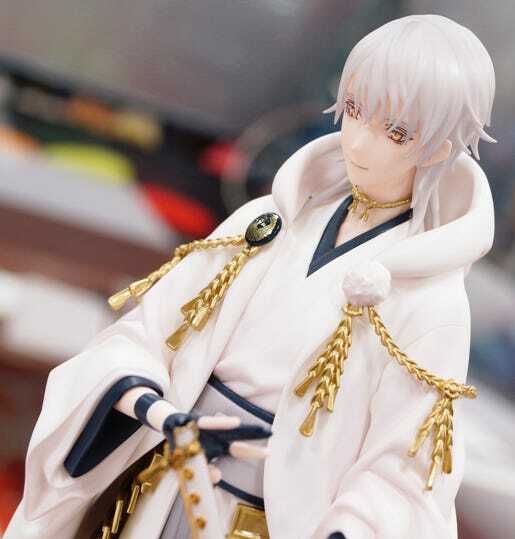 It can also be set onto Akitsushima’s back for a slightly different appearance! 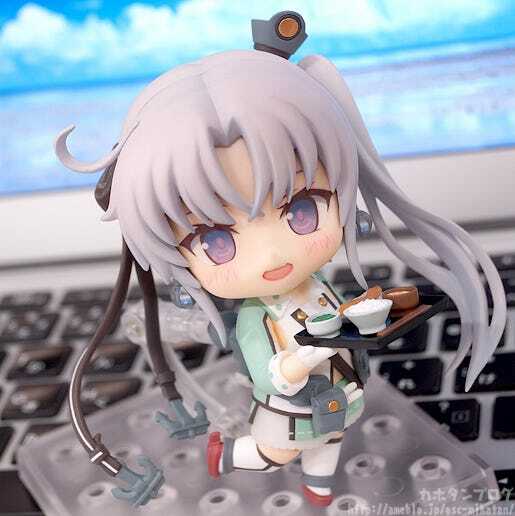 As with most KanColle Nendoroids she also comes with some food parts as well – this time it is a Japanese-style breakfast set including miso soup and dried fish! 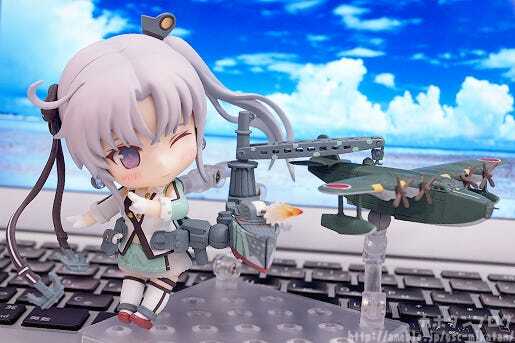 The Seaplane Carrier Akitsushima is joining the Nendoroids as the 21st Nendoroid from KanColle! 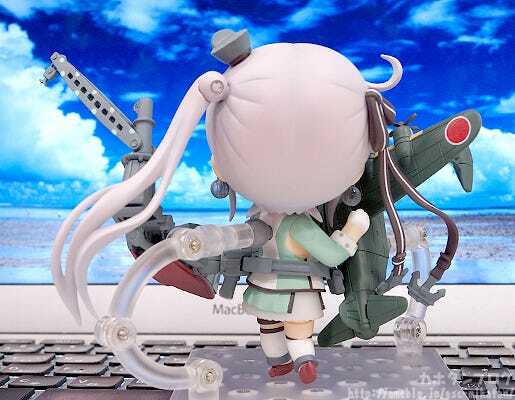 You can find a list of all the Nendoroids and other KanColle products over on the KanColle product summary page here: http://www.goodsmile.info/en/kancolle! 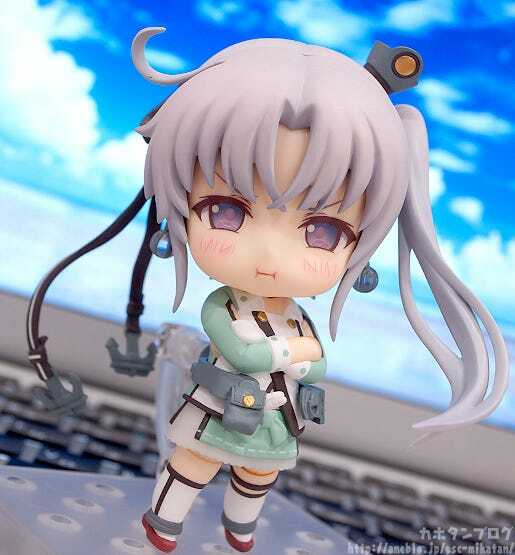 Her lightly coloured hair with a long side-tail as well as her eyes that have a lovely translucent aura about then have been faithfully shrunk down to Nendoroid size! 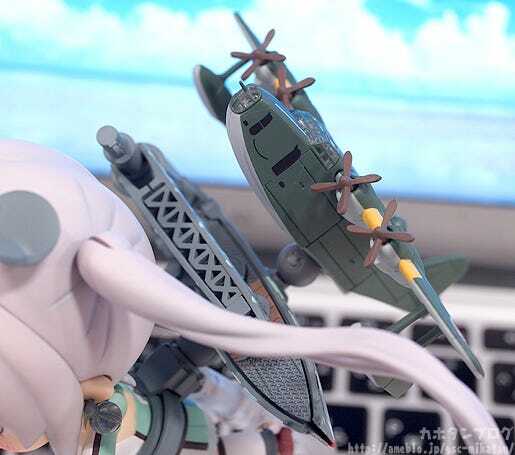 The large crane on her back as well as her ‘Taitei-chan’ seaplane are also included giving the figure some impressive volume while keeping all the important elements of her character in place! 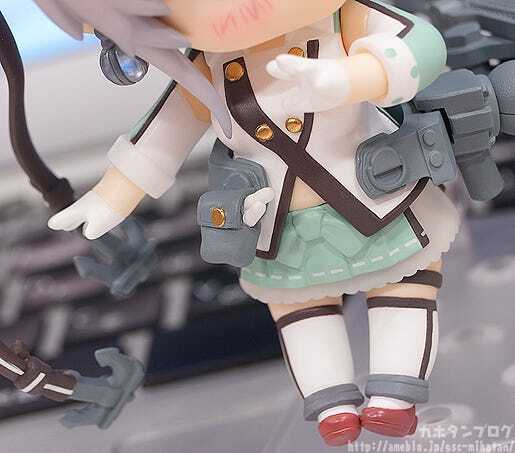 Originally they were planned to just be completely grey, but a certain admiral in the GSC fleet decided they needed a little more attention to detail! △ Even the ties of the ribbon to the anchors have been sculpted on! 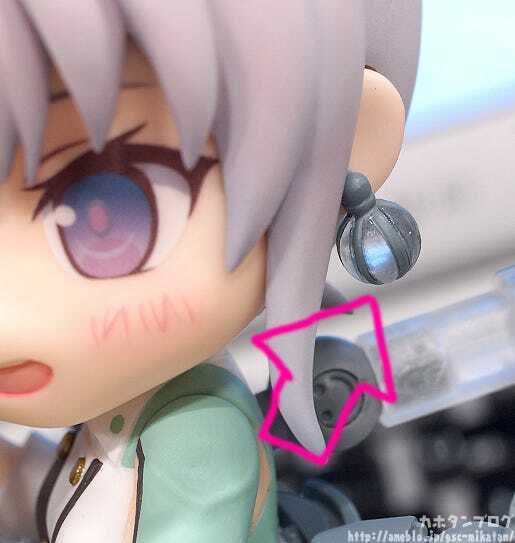 △ The effect parts simply connect into the holes of the turret! Also take note of her outfit! 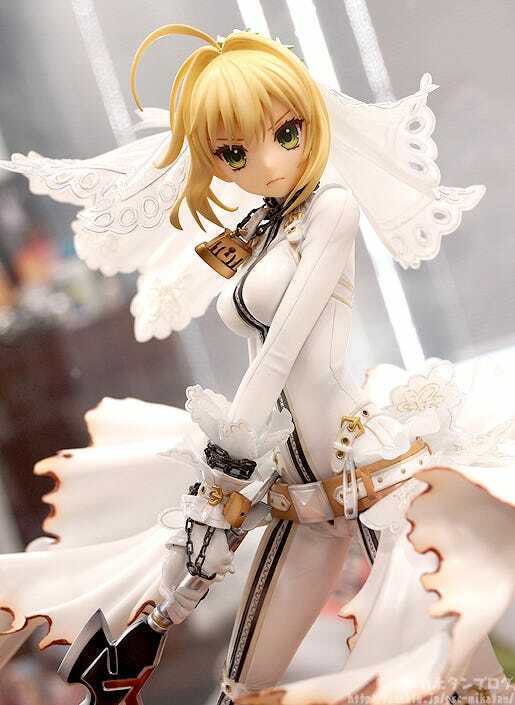 The slightly see-through look of white section on her skirt is also preserved using translucent parts! The little opening to show off her belly button actually has the cute little navel sculpted as well!! An expression made to show that she can get a little feisty when it comes to her ‘camouflage’ make-up! You can’t help but want to touch those puffed up cheeks!! △ The puffed out look is much more than most Nendoroids! As you can see from the above photos, the crane part can also be removed for a more everyday appearance of Akitsushima! 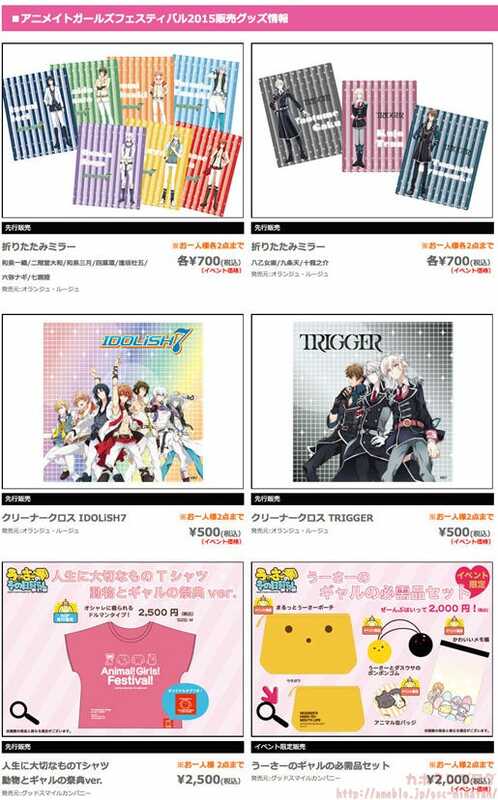 △Slides from left to right like so! 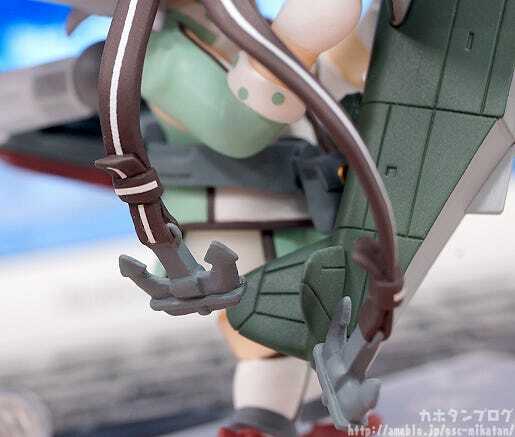 Taitei-chan is connected to her back!! Akitsushima soaring through the air! 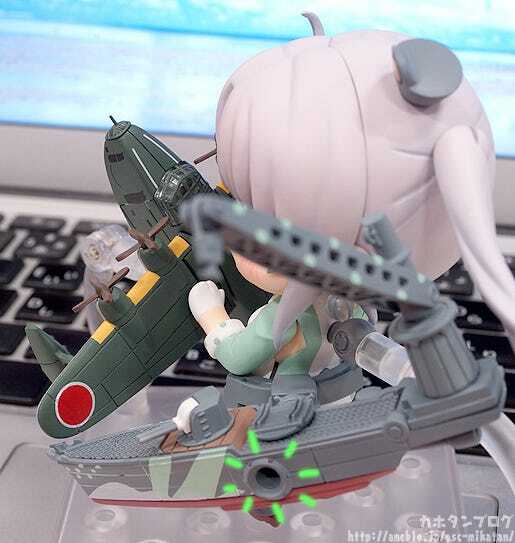 You can even pose her flying on Taitei-chan like this!! 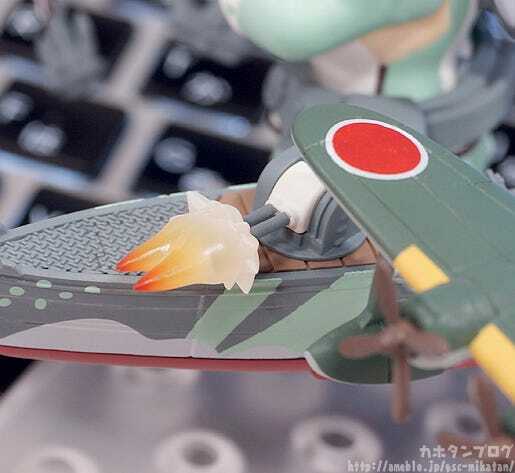 Taitei-chan’s wings can also moved up and down slightly to give a more dynamic feel to the plane! The crane is also fitted with this kind of movement! 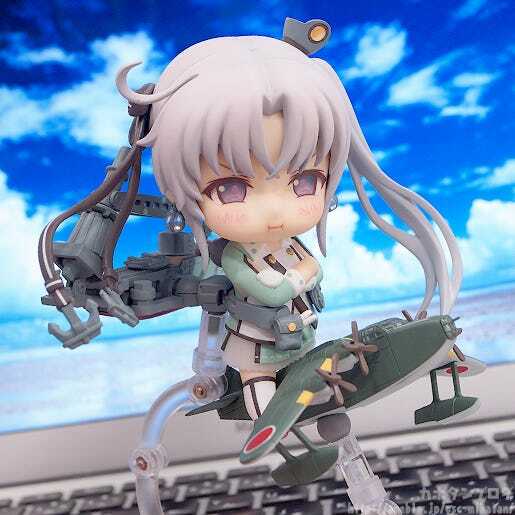 She also still comes with one more optional part…! 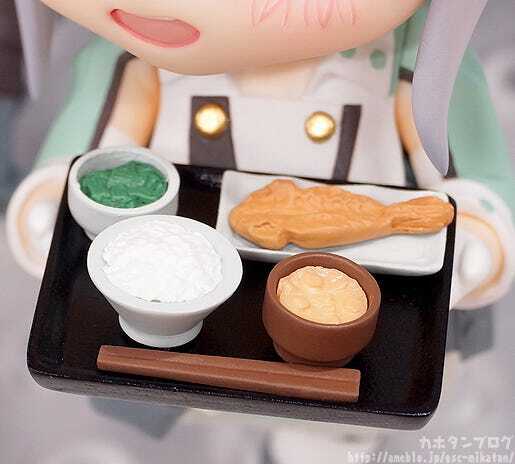 Each of the bowls and chopsticks are all attached onto the tray unfortunately, but the tray itself can be removed from her hands and placed elsewhere! 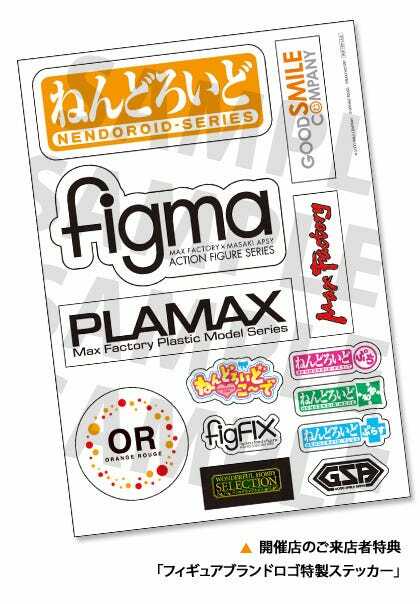 All sorts of movable parts and posing options! 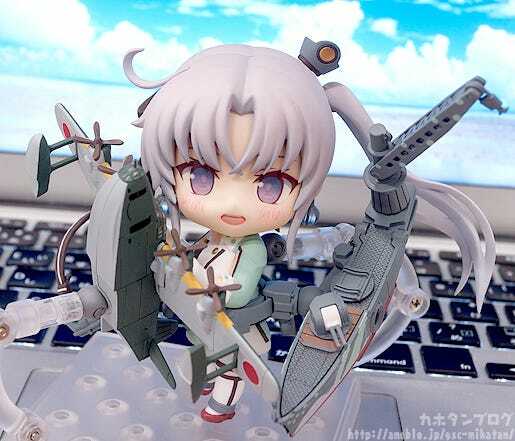 Be sure to add her to your fleet! A quick reminder of November events! Samus Aran: Zero Suit Ver. is being rereleased once again!! 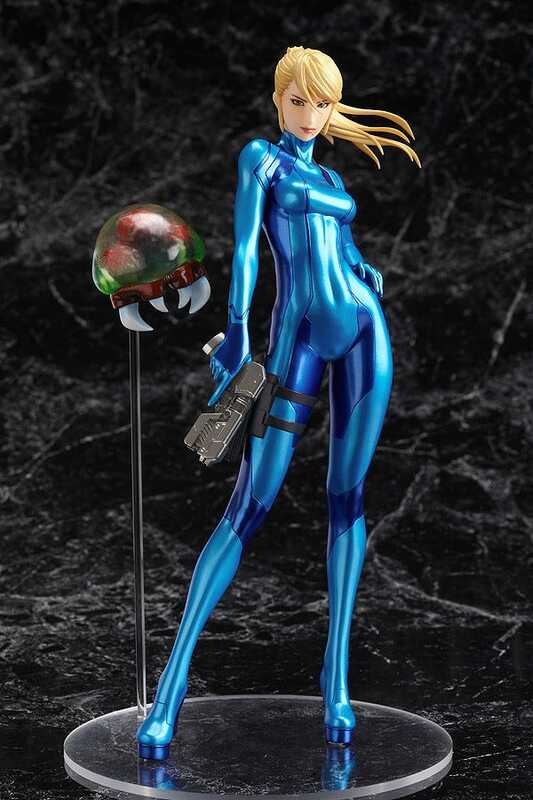 From the Metroid series’ “METROID Other M” comes yet another rerelease of the 1/8th scale figure of the series protagonist, Samus Aran! The figure has her wearing her Zero Suit – the outfit she wears while out on missions, but has the helmet removed to show off her beautiful face!She looks as cool and calm as ever as she holds her gun in her right hand, ready to take on anything that comes her way. The Baby Metroid that plays an important role in the story is also included along with Samus. It’s a figure that really brings out the atmosphere of the Metroid world for fans to enjoy! I have always wondered whether Yamato has a different side than what she showed in the anime or game. 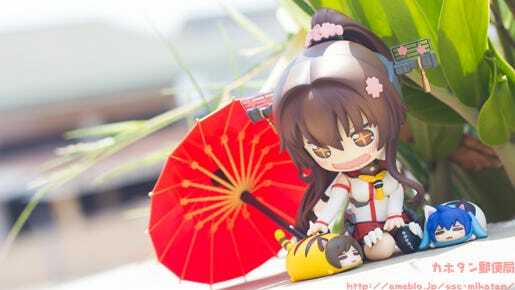 I think she will be really excited to play with some cute pets like Tiger-MEIKO and Kitty-KAITO. 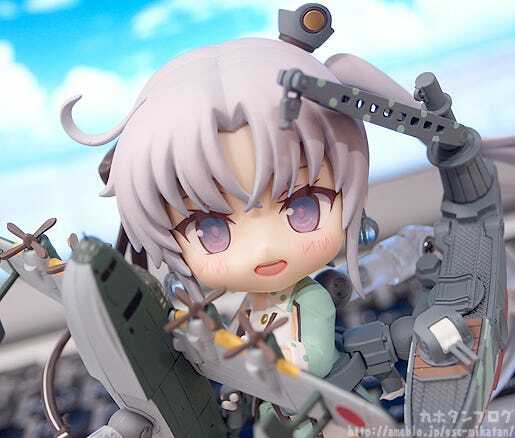 Thank you to Good Smile Company for releasing one of the most beautiful and battle-ready Yamato as Nendoroid.